We are conveniently located in the University Area on N Tryon St (Hwy 29) near the corner of WT Harris Blvd. We are halfway between CMC-University Hospital-CMC-University Hospital Hospital and Walmart Supercenter and only 1 mile from IKEA. We can also be easily accessed new LYNX Blue Line at the McCollough Train Station. 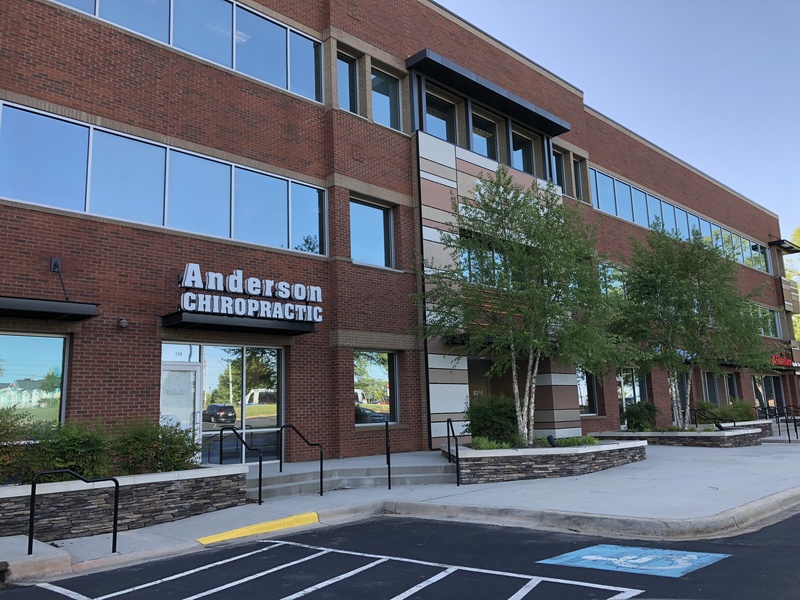 Our Anderson Chiropractic sign is on the front of the building, which faces N Tryon St.